I have often admired those giant pallet clocks you find in home décor shops for their rustic chic, but the price tags were always so off-putting. Thanks to some DIY posts I stumbled across on Pinterest, I decided that maybe I could throw one together myself. Here are some of the yard sale finds that helped get my project under way. I took all this home for $20. Oh, and there’s my good buddy, Buttons, in the corner. He has to be involved in everything! The gentleman who sold these to me said they were the tops to shipping crates. I liked how the wood already had a weathered look to it, so no need for distressing. The shipping instruction imprints also added a certain cachet. Removing all the rusty and bent nails was a very labour-intensive effort. Once separated, I arranged the desired planks side by side, eye-balled the centre, and marked off my circle. Now it was time to cut each piece. A scroll saw would have been the best tool, but in lieu of having one, a jigsaw worked just fine. Here it is after all the pieces have been cut. I then used some smaller pieces of wood from the crate tops to brace the clock together on the back side. My husband graciously reminded me to use wood glue, as well as nails, to ensure extra sturdiness. I purposely left a small gap between each of the planks to give a more rustic, pallet-like feel. The next step was sanding the edges. This little electric hand sander came in very useful. I then used watered down white craft paint to give a slightly white-washed look to the surface. I marked off a circle in the centre to be painted a deep red for a little contrast and visual interest. Once painted, I sanded the circle to age it a little. Thanks to my Silhouette digital cutter, making templates for the numbers was a quick task. But for those without, just print and cut out large numbers in a font of your choice, using any word-processing software. Finally, after painting the numbers with black craft paint and lightly sanding them, I added a polyurethane clear coat over the whole top surface. Here’s the final product, happily hung over the mantle. And so far it’s keeping great time, too! When I started the project I hadn’t done any research on the clock mechanism itself. I was well into making my clock before I looked into it. I learned that the part behind the clock that turns the hands is called a “movement” and when you’re going to make a clock with big hands, you’ll need a “high torque” movement. One very important thing to note is the thickness of your wood. 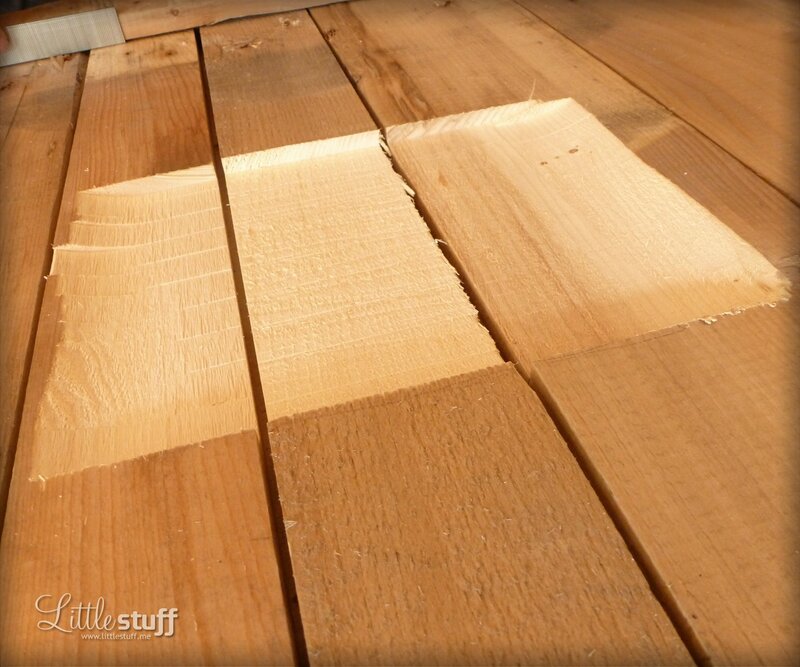 The shaft length, or threaded portion of the shaft, needs to be slightly longer than the thickness of your wood. For a project like this you will probably want to get the longest shaft possible. When I discovered Clockparts, I found that there’s also such a thing as a 1/2 inch threaded shaft, but since we had already prepared the wood for a 3/8 inch shaft, I ordered that one instead. Sadly, it was only when I tried to install the movement that I read the part about needing the threaded shaft to protrude out far enough from the clock for the nut to mount the threaded portion. My wood was prepped only for the threaded portion to be flush with the surface! So I spent close to an hour chipping away at my groove with a hammer and wood chisel to bring it down just a few more specks. Oh well… lesson learned and all’s well that ends well! 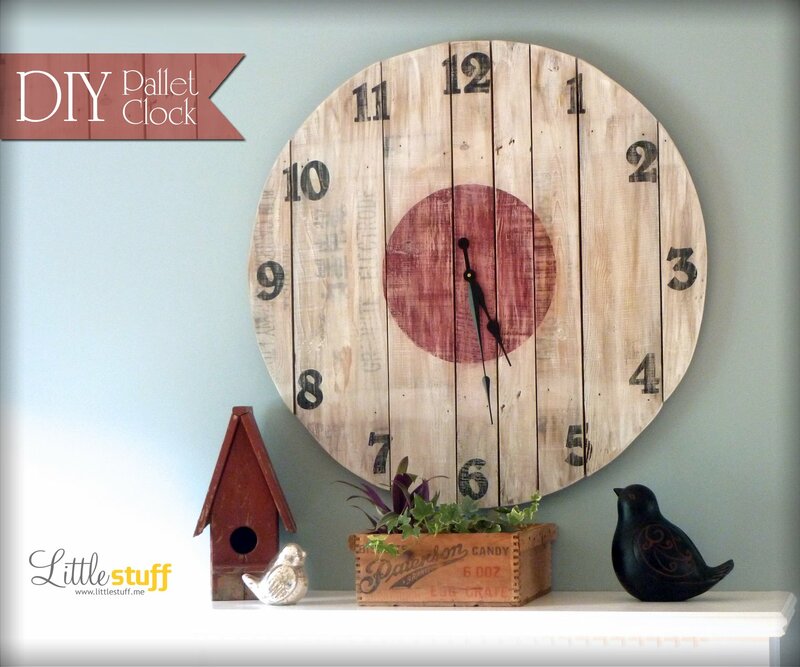 Wow love this clock! looks fabulous if I went to buy that in a store it would cost lots! !